Welcome to our information page for the Burke's Student Transportation Program! 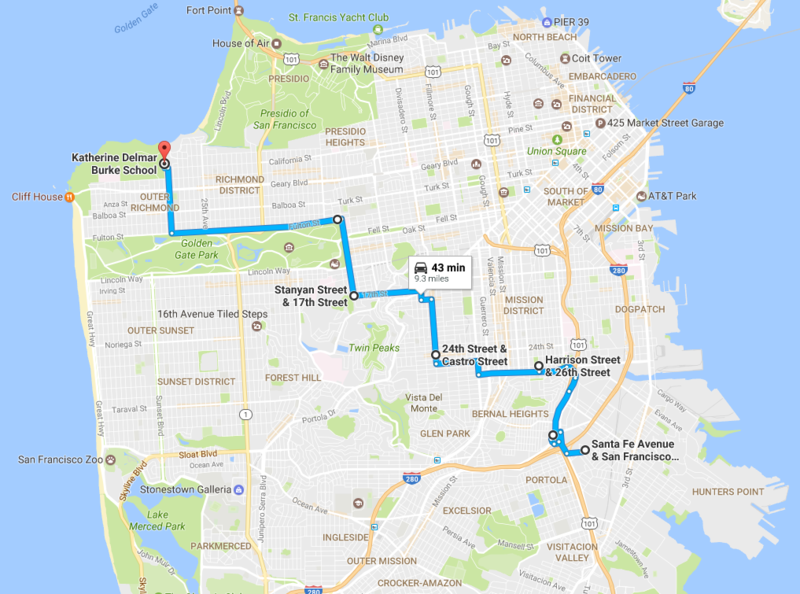 For the 2018-19 school year, we offer three routes: Noe Valley and North Side, as well as a new Southwest route. Details on the routes, stops, and times can be found below. Transportation services will be provided by First Student Inc. which was selected after a thoughtful vetting process by the Transportation Task Force and Burke’s Administration. It is our hope that this program will enhance and support our geographic diversity, make our school more accessible for families and move us forward in in our work to make Burke’s more inclusive to our whole school community, wherever its members may live. Bus service is priced at $9 per day, for a total of $1,575 for the 2018-19 school year. Your daughter can ride any day she wants; however, the cost of participating in this program is fixed. 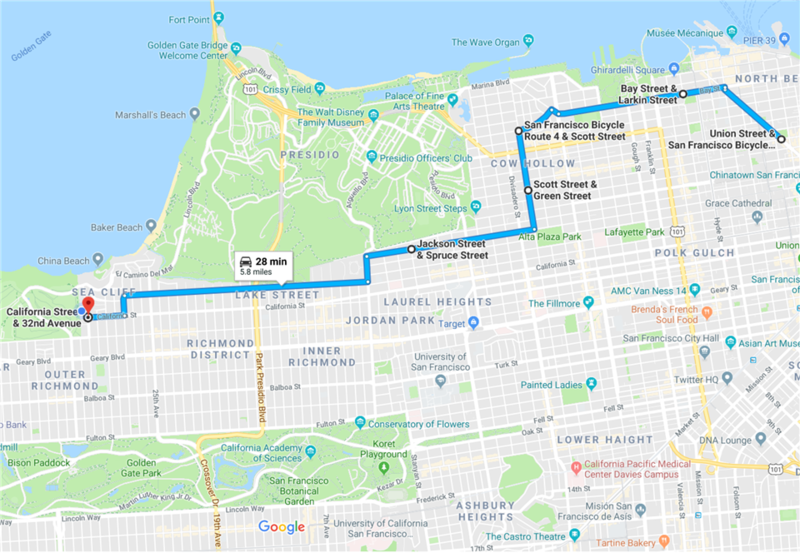 For the Noe and Northside routes, you also have the option to purchase booklets of single-ride tickets that can be used at any time. These booklets include 10 tickets and cost $120. To purchase, contact Quise Edwards. Stop 1 Columbus & Union 7:25 a.m.
Stop 2 Bay & Larkin 7:30 a.m.
Stop 3 Alhambra & Scott 7:35 a.m.
Stop 4 Green & Scott 7:40 a.m.
Stop 5 Jackson & Spruce 7:47 a.m.
Stop 6 PHS 7:50 a.m.
Stop 1 Silver & Santa Fe Aves. 7:05 a.m.
Stop 2 Cesar Chavez & Harrison Sts. 7:15 a.m.
Stop 3 24th & Castro Sts. 7:30 a.m.
Stop 4 17th & Stanyan Sts. 7:45 a.m.
Stop 6 PHS 8:20 a.m.
Stop 1 Monterey & El Verano 7:25 a.m.
Stop 3 36th Ave. & Noriega St. 7:50 a.m.